Left: Inside Gonalston Farm Shop. 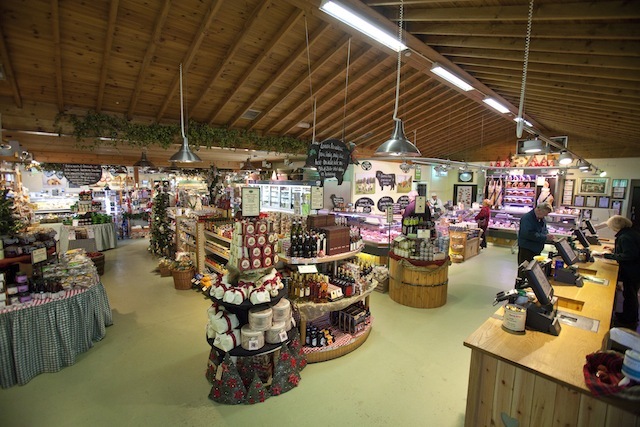 Gonalston Farm Shop of Gonalston, Nottinghamshire, has been named runner-up in the inaugural nationwide competition to find the Great Taste Shop of the Year 2013. The winner was The Food Company of Marks Tey, Essex. The Great Taste Shop of the Year contest is run by The Guild of Fine Foods and is the first time retailers have been recognised in the Guild’s Great Taste Awards scheme. Announced at the Great Taste Golden Forks Finner in London on September 9, the new award is unique because it is decided by nominations from award-winning speciality food producers rather than consumer votes. During August, Great Taste Award-winning producers were asked to name the best shops in the sector. The highest ranking delis, farm shops and food halls then received unannounced visits from retail experts to be judged on the “customer experience”. Gonalston Farm Shop was recognised for both its customer service and for the quality of its fresh produce and meat offer. The Guild of Fine Food has run a number of initiatives over the past 20 years to honour the best food shops in Britain, but this is the first year such a scheme has been linked to Great Taste. “Simply put, the very best producers in the UK nominated the very best shops in the UK, ” Farrand said. Gonalston Farm Shop is part of Great Food Club.